The home grounds also have 2 domestic quarters and the whole property is fenced and secured with electric fencing and gates. On the property, there is a nursery that will generate an income, water tanks, boreholes and three sheds. This farm has a huge potential to generate income. This 2 498-hectare farm compromises of 5 bedrooms situated on the Mziki Private Game Lodge. It is your very own sanctuary on the African bushvelda, all full furnished and offers absolute luxury. This farm has its very own private air strip and helipad. All 5 bedrooms have en suite bathrooms, outside showers, private decks, large kitchen, open plan living spaces and guest rooms. This place is blissful with a touch of luxury. This is a fully equipped dairy farm of 282 hectares that also facilitates vegetable farming a. The farm is being sold with the livestock, which compromise of 200 dairy cows and 200 sheep. Also, all farming equipment is also being sold with the farm. The farmhouse compromises of 4 bedrooms, 2 baths, a beautiful kitchen, a spacious living area and a dining room. There is two rondavel out buildings and staff quarters. This farm has is an income generator and boasts of so much potential. 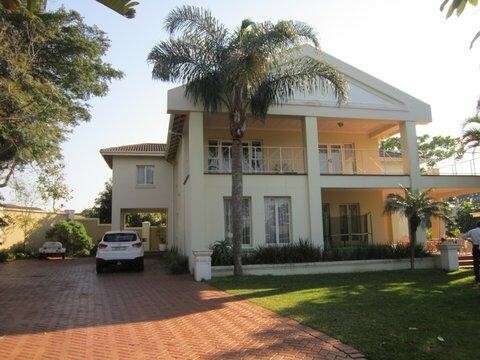 This is a stunning 80-hectare farm situated in beautiful Ballito. The property has a stunning 4-bedroom farm house, guest quarters, staff accommodation, 2 garages and 2 carports. The farm is well secured by electric fencing that boarders the whole property. This property is based on a cane farm with a huge income infrastructure for the growth and distribution of cane. This is a high income based property as it can not only produce cane but also has many out buildings that can be turned into holiday accommodation if you enjoy a relaxed care free stay. Kwa-Zulu Natal farms offer plump cattle, varieties of wild life, thoroughbred horses, and game sanctuaries all which meanders through the unique Kwa-Zulu Province. If you want a lifestyle where you wake up to green pastures and rolling hills, then a farm is the best investment you can make. Buying a farm in KZN is a fantastic investment as the area has beautiful weather all year through. This is very beneficial to farm owners who have vegetation and livestock.